Is your child completely uninterested in school? Refusing to even consider going to college? Are you at your wit’s end? 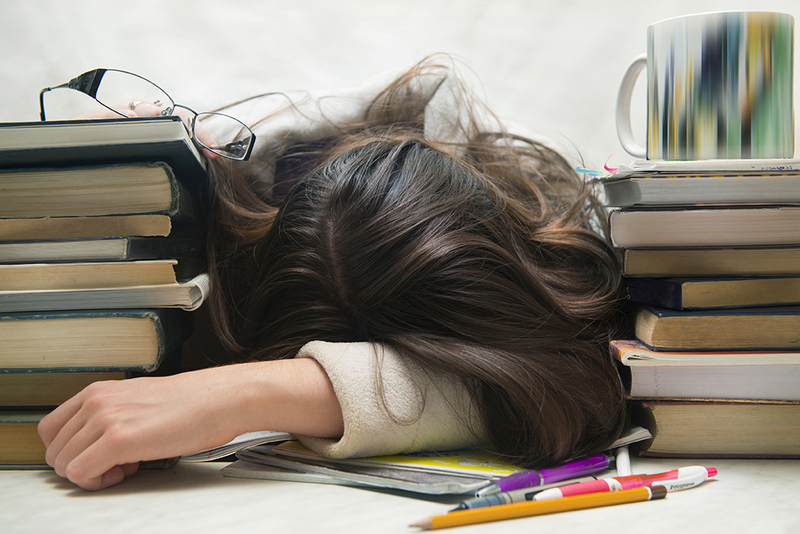 How can you motivate the unmotivated student? Of course, as a parent, you recognize the value and importance of higher education to your child’s future. Academic apathy can be a complicated issue, however, and generally, no amount of lecturing, pleading, or threatening will change a child’s point of view. First and foremost, then, you need to understand the causes behind this lack of motivation. Once you have a better idea of the source of the problem, you can more effectively develop a strategy to help combat your child’s seeming indifference toward education. What causes a lack of motivation? Kids who have a poor self-image avoid activities that they deem beyond their capabilities. Even if they can actually complete a given task, these students engage in self-defeating behaviour to protect the little self-worth they do possess. For them, it is better to withhold effort or to procrastinate rather than risk trying, failing, and feeling even worse about themselves. The home environment shapes the initial attitudes that children hold toward learning. In a home where curiosity, questions, and exploration are encouraged, children are given the message that education is worthwhile and personally satisfying. These kids are more likely to take the risks that are inherent in academically challenging pursuits. On the other hand, in a home where learning is not encouraged, children are given the message that education is of little value and that they lack the competency and ability to learn. Students mirror their teachers’ attitudes. If teachers believe that their students can learn, their students are more likely to trust in themselves and their abilities. Such teachers assign challenging, meaningful, and achievable tasks that promote motivation and link effort and success. Conversely, if teachers take the stance that they are the source of all knowledge and that their students are incompetent, their students are more apt to tune out, stop trying, and fail. Many unmotivated students are simply responding negatively to pressure. Whether the tension is perceived or real, these kids rely on defence mechanisms to protect them from the discomfort pressure generates. Through procrastination or avoidance, these students are trying to escape from their fears of failure and inadequacy. In time, they come to accept the consequences of their behaviour, so they appear nonchalant and composed, even as the pressure they are trying to dodge mounts. Children need to feel that their parents value learning. Show your kids that academic exploration is worthwhile and education is important, and they are likely to develop similar attitudes. So sparks their curiosity about everything. Further, let your kids know that failure is often a part of the learning process, and let them fail without penalty. Kids who are not afraid to fail are more willing to accept scholastic challenges and less likely to sabotage their own academic efforts. Students who possess intrinsic motivation take on activities because of the feelings of enjoyment and accomplishment they evoke. Students who possess extrinsic motivation perform to gain a reward or avoid a punishment. Students with extrinsic motivation will generally put out the minimal amount of effort to complete tasks in the easiest way possible. In addition, external motivation only exists as long as there is external compensation. In other words, extrinsic motivation is likely to result in limited progress that vanishes when the reward disappears. So be discerning when offering rewards for good work. Realistically, you won’t be able to take on every struggle that comes along, so choose your battles wisely. Make a clear-cut list of unacceptable behaviours and resulting consequences. For instance, a failing grade in a class might result in the loss of a favourite privilege until the grade is raised. Resist the temptation to ground your child indefinitely or to take away all prized possessions. If you act reasonably and calmly, there is hope that your child will follow suit. Find an area in which your child excels and focus on it. Constant failure is certainly unmotivating, and when the primary focus is on weakness, self-esteem and motivation will undoubtedly be lowered. If your child can find success in a nonacademic setting, you can work together to determine the elements of that accomplishment. Perhaps you and your child will be able to formulate a recipe for success and apply the ingredients to the educational setting. In conclusion, unmotivated students do want to succeed, but they are being held back by some sort of obstacle. With patience, understanding, and hard work, you can help your child find a path to academic achievement. ← 9 curiosity killers – and how you can cure them!